For the rockstar chicks and cutting edge fashionistas of the world, John Hardy bracelets are life. 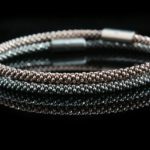 Discover these epic womens bracelets that will make you want to slap on the cuffs… and the bangles, and coils, and chain link..and the stellar multi-row styles. This line was made for you. The name John Hardy is synonymous with the image of cutting edge, luxury jewelry. 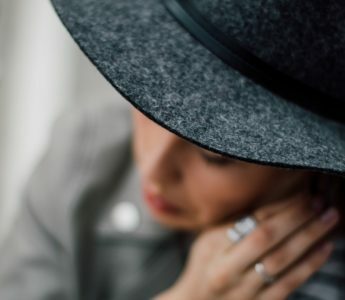 Even though John Hardy jewelry is not for everyone, this luxury brand has formed a cult-like following of men and women who possess a decidedly “rockstar” style. These collections feature finely etched metals, colored leathers, and gemstones selected for their “cool” factor rather than simply for their value. Most of the pieces in John Hardy’s collections are designed for women. There are ornate earrings styled to look like dream catchers. There are cobra necklaces and bamboo rings. But there are some awesome pieces made by John Hardy for the Guys, including everyday mens rings and pendant necklaces- and even cufflinks for the suit and tie type of dude. 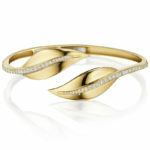 The womens collections are pretty consistent, and heavily focused on presenting innovative bracelet styles. If you’re looking to add a statement piece of jewelry to your rocker chic look, you should be browsing John Hardy bracelets to find one that will take your outfit to the next level. John Hardy bracelets use Bali inspired master craftsmanship in every piece. This brand is unique in ways beyond the cool look and proprietary techniques. The brand is also sustainable and committed to taking a eco-conscious approach to the art of jewelry making. As a member of the Responsible Jewellery Council (RJC), John Hardy bracelets are created with 100% certified reclaimed silver and gold. This dragon bracelet, made of 18K Yellow Gold and Diamond Pave, is made for a tough girl who may have an interest in Eastern religion. The Naga collection is inspired by Bali and includes elements borrowed from the cobra and the dragon- symbols seen in Hinduism. “Naga” in Sanskrit, the primary sacred language of Hinduism, means a “deity taking the form of a King Cobra. The John Hardy Palu Disc Bracelet is an eye-catching piece. Have confidence knowing that your rock star jewelry not only looks the part, but the backstory hinges on the ethical treatment of the local labor force and sourcing environment. All gemstones used in John Hardy jewelry are responsibly sourced according to the SCS Global Standard of Sustainability. 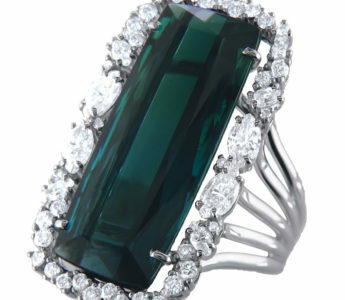 They strictly use non-conflict gemstones, repurposed whenever possible. You’ll be protected and bestowed with love and abundance, wearing this John Hardy bracelet. The Red Coral beads are strung together and the ends are joined by an embellished dragon head clasp. From the Legends Collection, the inspiration behind this bracelet is the mythical water dragon that protects the oceans and pearls. Whether you’re into dragons and cobras and Buddhist symbolism- you’re just really feeling the cutting edge vibe of rock star fashion- John Hardy bracelets are an effortless way to up the cool factor in your wardrobe. Slap on some cuffs or another favorite bracelet style, and you can go from plain to provocative…From basic to bohemian…From average to artsy. Step into the wild side. John Hardy bracelets are my favorite. They are my go to bracelet right now. I don’t think I could ever wear a John Hardy bracelet. Just not my style.